This week positions with architecture studio Foster + Partners and private members' club Soho House are included in our pick of the best vacancies listed on Dezeen Jobs. Foster + Partners is seeking an interior designer to join its team in Battersea, London. 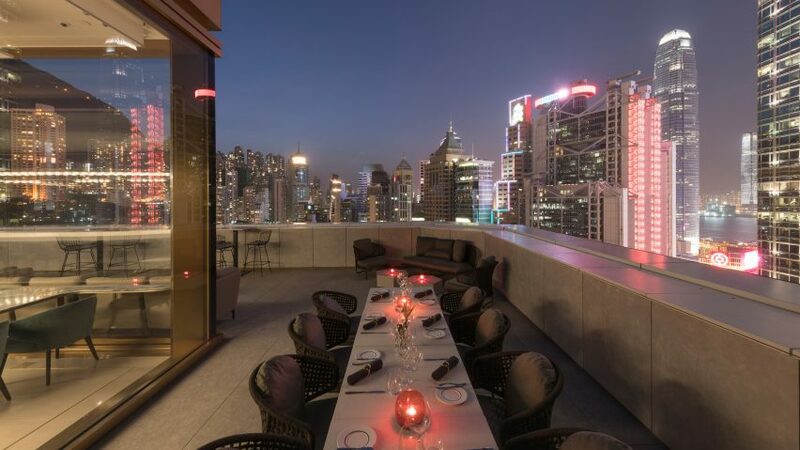 The firm recently completed The Murray hotel in Hong Kong's central business district, a gridded tower which was formerly used as government headquarters. Soho House has recently opened its latest addition in Amsterdam, which features a palette of rich blues, greens and ochres taken from golden age Dutch artists including Vermeer, Rembrant, Van Gogh. The company has an opportunity for an interior lead designer to join its team in London. Common is looking for an architectural designer to join its team in San Francisco. The studio overhauled a former community centre originally built in 1890 and called Common Racine, to include shared living spaces, a wellness studio and gym, a home theatre and lounge. Block colours with graphic black outlines feature in Spanish designer Patricia Urquiola's Rotazioni and Visioni collection of geometric-patterned rugs that create optical illusions. The designer's studio is recruiting a product designer to join its office in Milan, Italy. Adam Richards Architects has a vacancy for an architect to join its team in London. The practice designed Mission Hall, a two-storey house in Sussex, which features a rounded wall made up of recycled clay tiles that converge with white brick walls.